It was with great sadness that I received the news of the passing of Mr. Marwan Burgan on May 5th, 2009. For over 30 year, the Washington DC-based activist advocated for Arab-American causes. 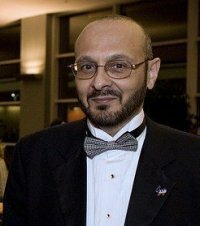 I personally spoke with him in January 2007, he advised me to apply for a position at Senator Jim Webb’s office, I didn’t get the job, but I gained the honor of knowing Marwan. I then met him at the 2007 ADC convention. Marwan Burgan, founder and president of the Project for American Civic Engagement (PACE), was for eight years the Foreign Policy Legislative Assistant, Legislative Director, and Chief of Staff to Congressman Mervyn M. Dymally, then a ranking Democrat on the Foreign Affairs Committee. Among his many efforts in Congress during the 1980s and 1990s, Burgan successfully supported a bill tackling hate crimes and an increase the US assistance program to refugees. Burgan has also served as Chief Aide to a member of the Fairfax County Board of Supervisors. He has traveled to the Balkans and the Middle East to serve in voter registration, elections, and civic education projects. He has also volunteered in local, federal, and Presidential campaigns. In 2004, he was the first Arab American immigrant elected as a National Delegate to the Democratic National Convention from the State of Virginia; he served as the State of Virginia Director of New American Outreach for the Kerry campaign; and he was elected to the 11th District Democratic Congressional Committee in 2005, receiving its Grass Roots Award. He received the Arab American Institute Distinguished Public Service Award in 2007. Burgan’s faith in and commitment to the American democratic process led him to found PACE in 2007. He wanted to give a head start in government service to young people from all American communities under-represented in government. Although it has been in existence for less than two years, PACE has been able to advance the aspirations of close to 20 students and recent graduates through training and mentoring them and, within its means, providing financial support for internships at US Congress. More than anything else, Marwan Burgan wanted American citizens to understand the value of government service, and to repay the confidence that was placed in him by giving others the opportunities that he himself had.